BEST TIME TO VISIT: Open to public in summer COMMENTS: Directions: From Beckley take I-77N to 19N(Exit 48). Turn right at sign for Glen Jean/Thurmond. 7 miles on WV 25(not recommended for trailers and RV's). The downtown strip of this town facces the railroad tracks and there is no 'main street' per se. Streets run from the hills down to the tracks, and most of the houses are situated up on the hill. The railroad depot has been wonderfully restored, and the word on the street is that the Amtrak line running from Lexington/Frankfort to Washington DC that runs through this town will make a stop for you if you call ahead. REMAINS: Depot, bank, saloon, hotel, about 20 homes, and a church. Great remains... all fairly well in tact. 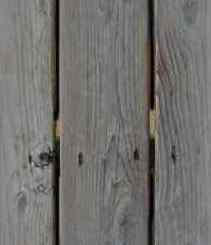 A completely abandoned downtown strip still standing, and in VERY VERY good condition. Lots of empty homes and railroad infrastructure. 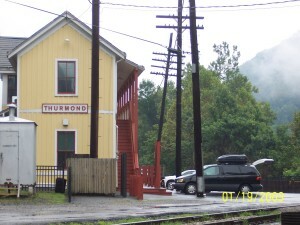 The train station has been restored and is now a museum, as Thurmond is part of the local national park here. There are a handful of residents a ways up the mountain too! 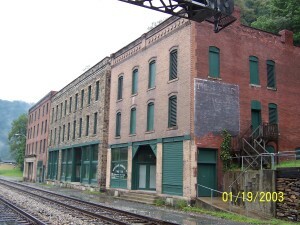 These are the larger of the buildings in Thurmond.